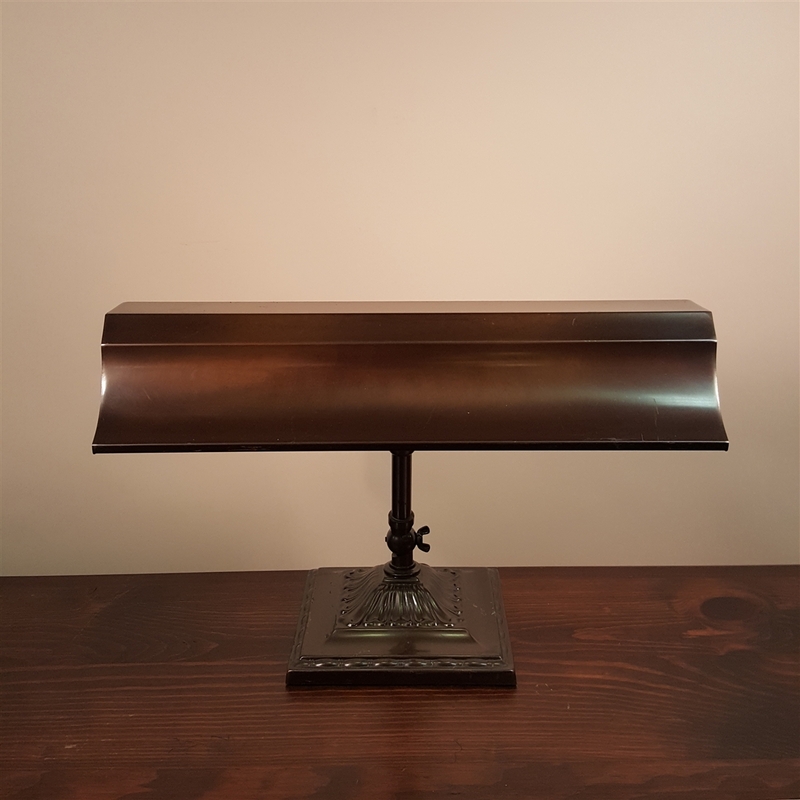 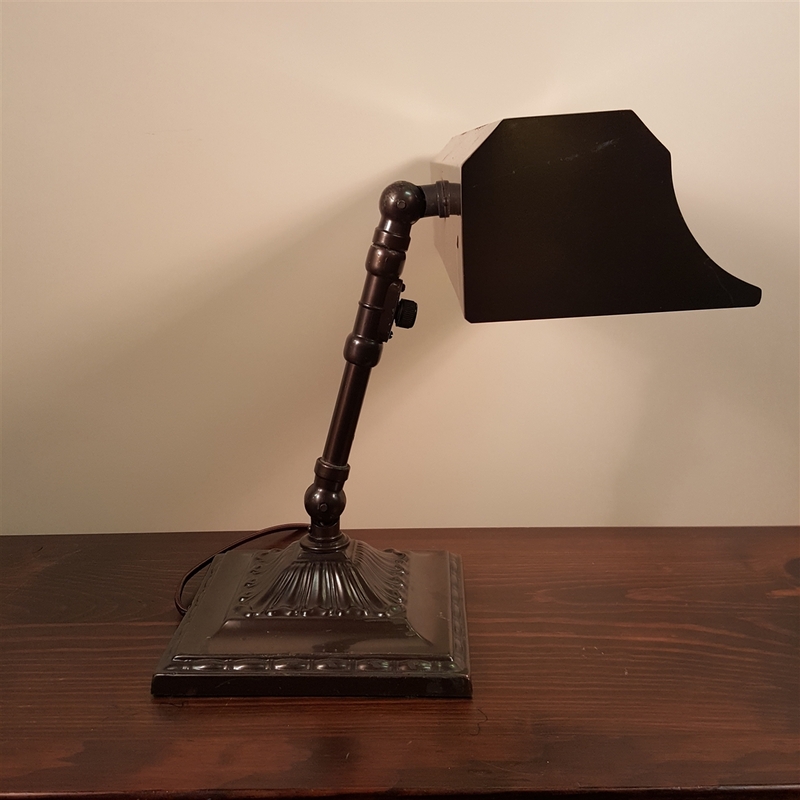 1930's two light desk lamp with daylight diffuser. 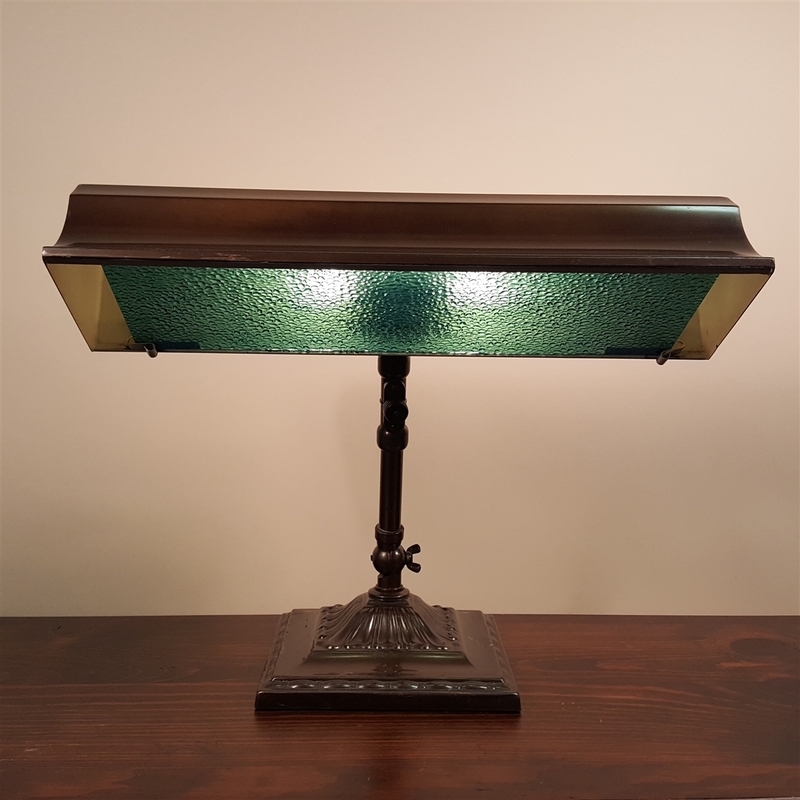 During the 1930’s many light bulbs were so warm/red in color that desk lamps sometimes came with a blue diffuser in an attempt to get a more natural light spectrum. Dimensions: 12" tall and 15" wide.